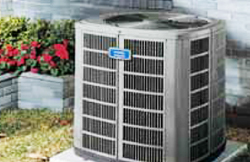 Sparta Heating & AC is an HVAC company serving commercial and residential customers in Sparta, TN. Our trained technicians are friendly, professional, and ready to solve all your HVAC problems. Keeping your home or workplace comfortable all year round is our top priority. When you hire us, you can always expect prompt, reliable service for your heating, cooling and air quality system needs. Having an efficient heating system will save you money and keep you and your family more comfortable. There are plenty of options to consider, including boilers, furnaces, heat pumps and geothermal units. When you hire us to install a heating system, our heating technicians will help you find the right system for your needs and budget. 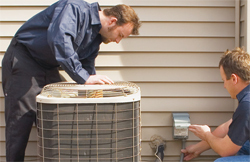 We can also assist with blower, fan, filter, motor, and sensor repairs for all types of heating units. Running an air conditioning unit gets expensive pretty quickly. Luckily, we can help you choose an efficient unit, so you’ll start seeing savings soon. Our air conditioning technicians will go over all the options in order to find the best match for your home or business. 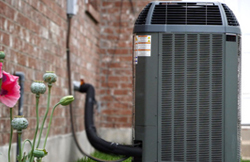 If your air conditioning unit is experiencing issues, we get it back up and running in no time. We can assist with Freon checks; leak detection; and blower, compressor and filter service. Are you breathing in clean air? If you don’t know, allow us to change that. We can install effective air cleaners that will remove many allergens, dust particles, and mold spores. We also provide air quality inspections and repairs for air quality systems. Turn to Sparta Heating & AC for excellent customer service every time you call. We are committed to putting our customers first, and we always display professionalism. Contact us today for all your HVAC-related needs. We look forward to working with you soon.